• Head coach Frank Reich finished tied for eighth in 2018 with a Head Coach Ranking grade of 7.4. • Head coach Andy Reid finished tied for second in 2018 with a Head Coach Ranking grade of 7.9. • Reid led all coaches in three of the five HCR factors: Play Calling (8.2), Personnel (8.4), and Game Plan (8.2). • Head coach Jason Garrett finished tied for 13th with a Head Coach Ranking grade of 7.0. • The Cowboys are one of two playoff teams that have former NFL head coaches at both offensive coordinator (Scott Linehan) and defensive coordinator (Rod Marinelli). • Head coach Sean McVay finished tied for second in 2018 with a Head Coach Ranking grade of 7.9. • Defensive coordinator Wade Phillips was the head coach in Dallas immediately preceding Jason Garrett. • Head coach Anthony Lynn finished tied for eighth in 2018 with a Head Coach Ranking grade of 7.4. • Lynn was an assistant coach with the New York Jets from 2009-14 and with the Buffalo Bills in 2015, so he’s got more experience than most coaching against the Patriots. • The Chargers are the other playoff team that has former NFL head coaches at both offensive coordinator (Ken Whisenhunt) and defensive coordinator (Gus Bradley). • Belichick finished sixth in 2018 with a Head Coach Ranking of 7.6. 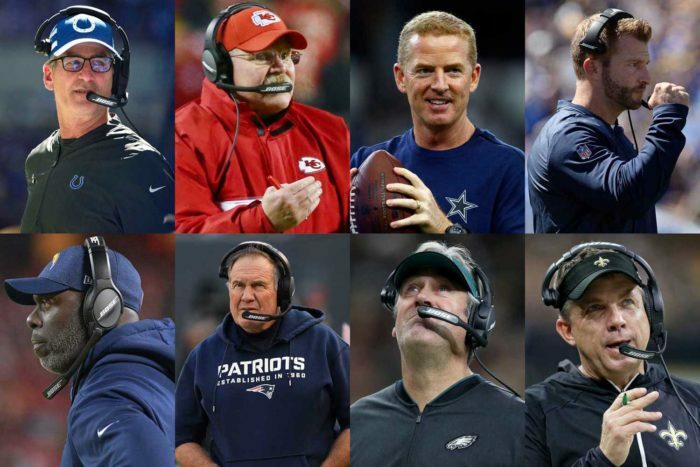 • Of the eight head coaches still in the playoffs, Bill Belichick is the only one who cut his teeth as a defensive coach. Of course, he’s also won five Super Bowls – three more than the other seven head coaches combined. • Head coach Doug Pederson finished tied for 18th in 2018 with a Head Coach Ranking grade of 6.9. • Pederson is currently a perfect 4-0 in the postseason. • Head coach Sean Payton finished No. 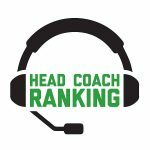 1 in Head Coach Ranking for 2018 with a grade of 8.0. • Payton’s first NFL coaching job was with the Eagles (quarterbacks coach in 1997).